Lifetime License - no ongoing renewal fees! At EposSystems.Com we offer some of the best EPOS Software packages to choose from on the UK market at affordable prices, depending on your particular business requirements. We are experts on each of the software products we offer, so can advise you on capabilities and help professionally setup and configure the package for your needs with associated user training. We do not produce our own proprietary software and attempt to then sell the same single package to every size and type of business. As consultants, we will help determine your current and ongoing needs of an e-pos system and then help select the most suitable software solution for you from among the most widely used software packages in the UK. Here are some of the best EPOS Software packages that we offer. The prices are for software license only - set up, training and support is available separately if required. Note the software cost works out much cheaper when purchased with a hardware bundle as part of our complete EPOS Package Solutions. Editions available for Retail use in shops and Hospitality use in bars, cafes and restaurants. A very popular package that has been on the market for over 15 years. Latest version 2.66.5 2017. Setup,Training and Support Services available separately. US-based software available in UK edition for over 15 years. Comprehensive features for retail shops making it ideal for Gift Shops, Fashion / Clothing / Footwear outlets, Sports Shops, Jewellery Shops and similar types of business. Version 3.34L. Available as Standard or Professional edition. 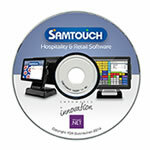 Modern design with 3D buttons and vibrant colour schemes, SamTouch is one of the latest established EPoS Software packages in the market with comprehensive features, a range of optional modules and interfaces, and is very user-friendly. Version 1.3.683 released March 2018. Only available when purchased with a Sam4s hardware bundle. Special pricing for existing customers with Sam4s terminals cross-grading from Sentinel to SamTouch, please contact us for a quote. Entry-level EPOS Software package for hairdressers, beauty salons, nail bars, spas and similar types of business. Comprehensive features with booking system, stock control and reporting. For single terminal only. Editions for Retail use in shops and Hospitality use in bars, cafes and restaurants. CES Touch was formerly known as Geller Touch epos software. Established for over 14 years. 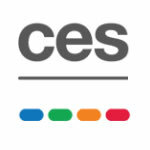 The distributor edition of CES Touch, known as Sentinel, is replaced with CES Touch since June 2017. Latest Version 9. We can supply just the Software License on its own (except SamTouch, which requires purchase with Sam4s equipment), this is suitable if you are already familiar with the product for you to setup and use yourself. Alternatively we can help confirm your existing equipment and peripherals are compatible, and then we can offer services including installation, configuration, staff / manager training and ongoing support. If your existing POS Software license has expired and requires renewal, or the package you are using is causing errors or doesnt meet your current operational or reporting needs, or you are fed up paying ongoing monthly/annual renewal fees, then buying a new Software License from EposSystems.Com is a quick and economic way to resolve the issue, while retaining the investment of your POS equipment (provided it is compatible). Our EPoS Software can be downloaded the same working day following purchase. For full activation we will require the Make, Model and Serial number of the POS terminal / device to activate the full software license and issue an Activation Code which can take 1-2 working days to receive from the manufacturer. Unactivated software will function in demonstration mode in the meantime, although any reference data entered will be retained so you can start entering your products/prices and related information. Contact Us to discuss your EPOS Software requirements and for an instant Quotation. Please note: We do not provide free evaluation versions of any software. A guided Live Online Demo can be booked if you wish to check the capabilities of a product prior to purchase. IS YOUR POS EQUIPMENT COMPATIBLE? e) the approximate age of the equipment (if known). In most cases we will advise against use of POS Terminals which are more than 4 years old. For each terminal and peripheral, you will need to confirm that you have any required power supply, that it powers on fine, and that you have the associated data cable. Please note that the "Make" is the name of the manufacturer of the equipment - not the name of the dealer / reseller or importer whose badge may also appear on a device. If your equipment does not state a manufacturers name (except for cash drawers), we may not be able to advise compatibility. For Barcode Scanners and POS Weighing Scales that are not from one of the major manufacturers, we may need you to obtain your manufacturers documentation if the Serial Port settings need to be configured. It would be a good idea to email us photos of each connection / cable for each of the devices. Alternatively, you can purchase a Site Visit for our consultant to attend at your premises to check your existing equipment and advise compatibility, or we can arrange courier collection/return of your equipment to our warehouse for testing for an Inspection Fee. Please note we will not handle equipment which is not fully intact (ie. falling apart), or is overtly dusty, dirty or greasy, or where there are any signs of insect / rodent infestation. *Please note there is a £75 technical support fee, non-refundable and payable in advance, for us to check the details of your existing equipment and to advise compatibility. While we can advise compatibility of your existing equipment in good faith based on the information you provide us, we cannot guarantee the subsequent functioning of equipment that you have not purchased from us. No refund will be given on EPOS Software or other products if your equipment is not compatible. Following purchase, beyond reasonable support time for initial setup with the EPOS Software, any extraneous technical support required from us to assist in configuring your existing equipment, or updating ROM versions or device drivers or Windows files, or diagnosing faults, or any ongoing support requested for your equipment will be charged on a time and materials basis at our standard fee rate and prepayment will be required for such work. Friday 19-April-2019 23:56 Our office is currently closed. We will be open again from 10am tomorrow.